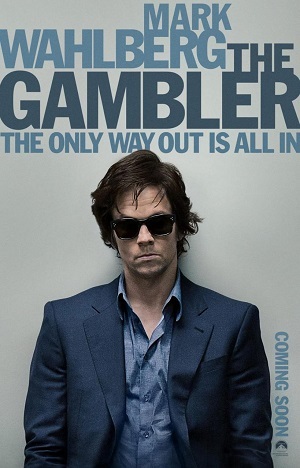 In a word, this movie is “tedious.” And blame that on Mark Wahlberg. He brings no emotional involvement to Jim Bennett, his gambling-addicted character who’s at the center of this story. He shows no elation in winning, no disappointment in losing. He doesn’t seem to be “present;” his body’s here, but his mind is off doing something else. Maybe that’s how addiction works. Maybe that’s how real gamblers play. But that’s not how a movie works. A movie needs “moments” – highs and lows – and characters played by actors who can bring those moments to life in ways where we feel them, we share them, we’re affected by them. Those moments are missing here. No one in this movie is really in the game; no one seems engaged, committed; the players are not particularly interested, the enforcers are not brutally violent, the men in the suits are not especially sadistic. The result is – a movie filled with slow and overly-long sequences, moving around the seedier parts of Los Angeles where games are played in warehouse environments with enforcers standing by. And lots of Koreans eating soup. The plot is straightforward: Within a few minutes and a half-dozen blackjack hands, Bennett owes two hundred and sixty large and has seven days to pay. And so the movie trudges into the week ahead. With a different actor in the central role – one who showed some emotion – this could be a suspenseful movie. Instead, the most interesting actors – Brie Larson and John Goodman – play small, secondary roles. She is fresh-faced and eager, his student-love-interest; he is a cynical loan shark, fat in a Jabba the Hut sort of way, but he’s also a good guy who wants Bennett out of the life – and Bennett begins to see a way to do that. The question is: do we care? The answer: not at all.